If You're Nervous About Starting Your Fitness Journey, No Worries. Here's What You Need To Know. A journey like this can be nerve-wracking to start, but worth it? Absolutely. Coming into college, I told myself that I would start going to the gym more. I played several sports in high school, something I likely would not be doing in college, but I still wanted to stay active. Let's just that I did not hold myself accountable for making an effort to go to the gym at first. 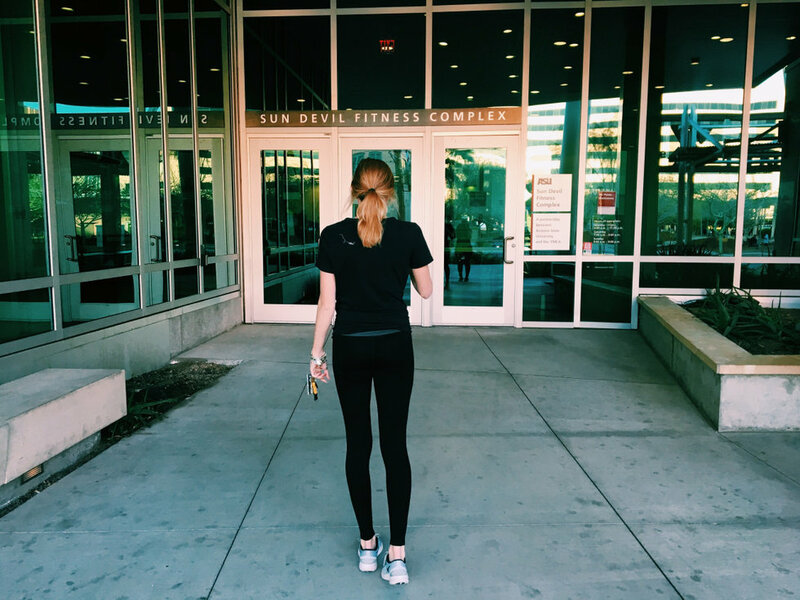 Second semester rolled around and this time, I devoted more time to make myself go to the small gym across from the dorm, fitting in even thirty minutes a day, even though I absolutely hated it. Exercise became a chore, and quite honestly, it did not make me feel more confident like I had heard it would. Coming back for sophomore year, I convinced myself that I was ready for the next step up, the big gym with way more to do and more opportunities to push myself. 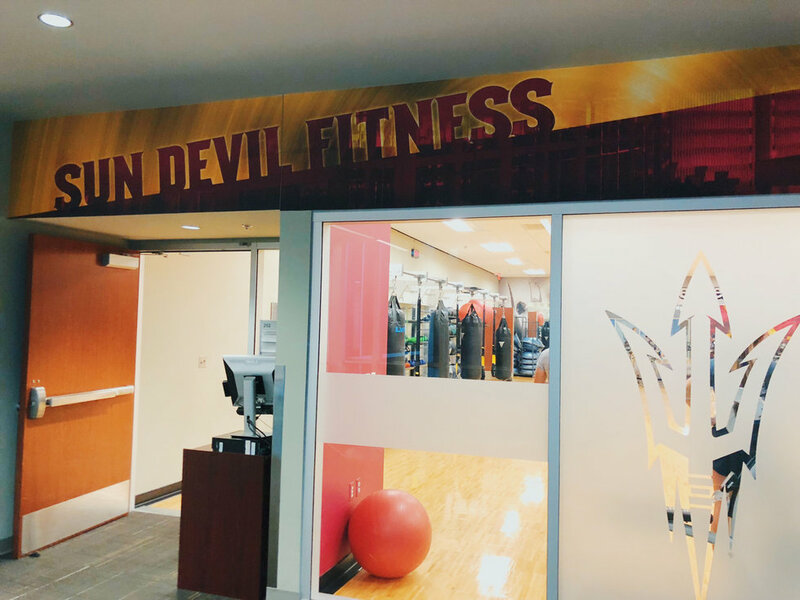 Throughout the semester, the fitness facility grew to be my absolute favorite place on campus. I would, and still do, look forward to my workouts at the ends of long, stressful days because the feeling I got from exercising and bettering myself was like no other. But let me tell you, it was extremely difficult to take that first step and push myself a bit further out of my comfort zone. My entire first-year spring, my boyfriend attempted to get me to work out at the big gym for months, and I refused because I was so nervous. Don't tell him, but he was right and I should've gone so much earlier. 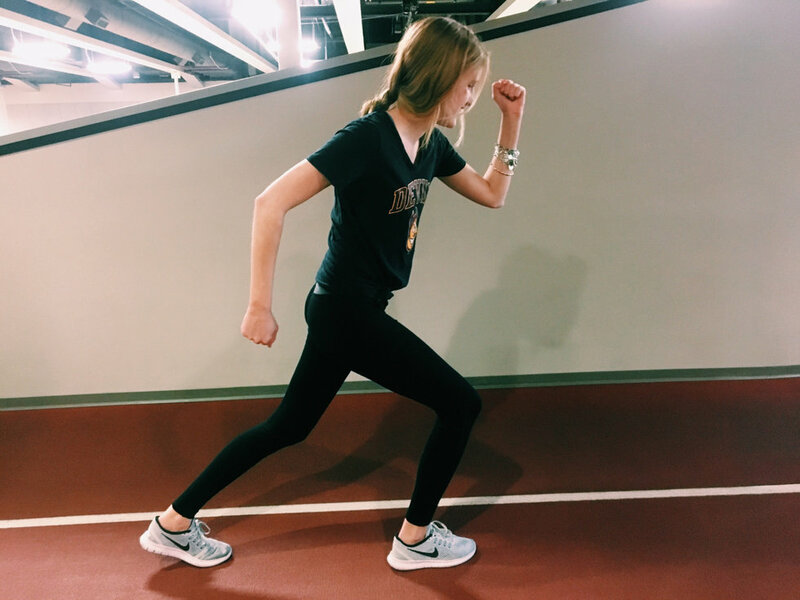 Now in my sophomore spring semester, after several months into my real fitness journey, I know a couple things that my pre-workout-loving self would have benefitted from knowing. 1. No one is going to make fun of you for being a little lost in the gym. I refused to go to the big gym all of those months because I was worried about others judging me. I convinced myself that all eyes would be on me, and I would totally make a fool out of myself when trying new workouts. I was so wrong. No one actually cares about what anyone else is doing. I go to the gym with tunnel vision, only focused on my workouts and what I want to do next. Believe me when I say that no one is paying attention to your every step. If anything, it makes me happy when I see other people at the gym pushing themselves out of their comfort zone. 2. Starting is the only way you can get better at it. Personally, I spent way too time worrying about going to the big gym. I remember complaining that I want to get stronger and become more confident by really pushing myself, but none of that was going to happen unless I actually started. The beginning is the first step in accomplishment, so if you're nervous, just go and congratulations, you're already taken your first step toward reaching a goal. 3. Lifting does not necessarily make you bulky. Lifting is one of my favorite parts about myself. When I started my fitness journey, I began with a lot of cardio and some bodyweight exercises. I only wanted to be a bit leaner and more toned, so I thought I was doing the right thing by not lifting weights. I didn't want to bulk up. However, I was so wrong. Lifting weights create muscle, which does not have to be bulky if you listen to train properly for your goals. Please don't avoid the weights at the gym out of fear that you're magically going to turn into a bodybuilder. Trust me, it's not going to happen (unless you want it to). Instead, you'll find it only helps you in gaining some muscle definition. 4. A 'fit' lifestyle should be a happy lifestyle. PSA: Skinny/toned and happy are not the same thing. If you are forcing yourself to go to the gym in order to get skinny but are miserable in the process, you're doing something wrong. Cutting out all "unhealthy" foods in hopes of maintaining a healthy diet is not the way to go! If you are not happy with yourself while you are trying to live a fit lifestyle, you're losing sense of the main goal. Your self-love and happiness should come before any practice that restricts you from truly living. Eat those carbs and love your body. Speaking of loving your body, take care of it!! Part of fitness is knowing when you need to take a day off. Forcing yourself to go to the gym all seven days of the week even if you have the flu or are deathly sore from leg day four days ago is not okay. Listen to your body if it tells you to eat more. Listen to your body if it tells you to snooze your alarm for your 8 a.m. workout. 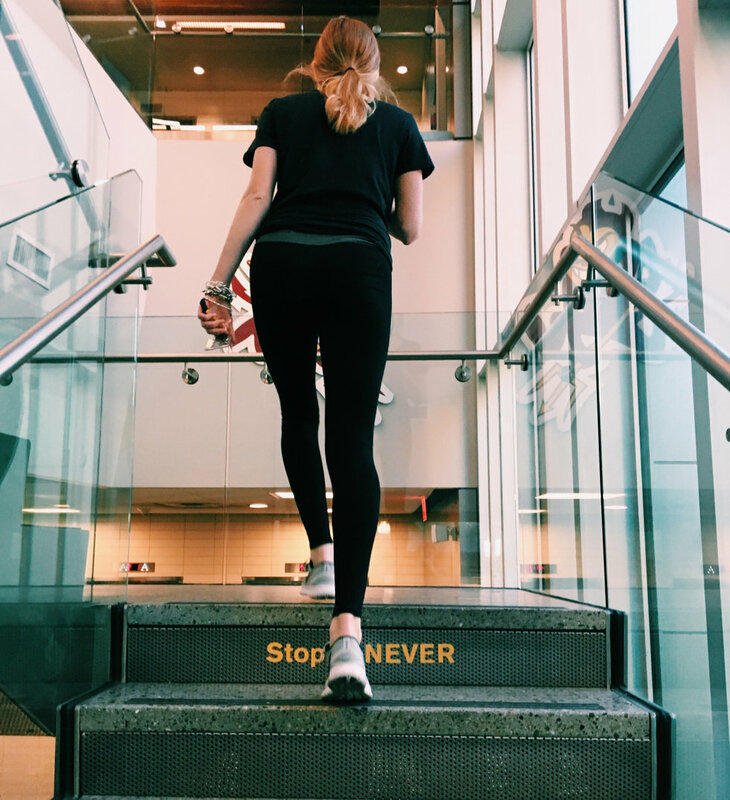 Listen to your body if it tells you to take an extra day off because you still walk up stairs without jello legs. Your body will thank you for it.